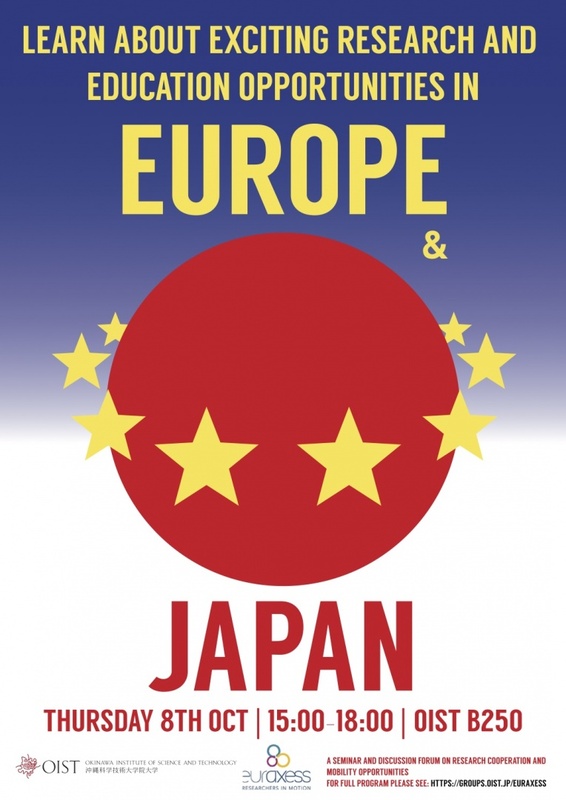 OIST, University of the Ryukyus and EURAXESS Links Japan, the Japan branch of the European Commission’s initiative in support of international research cooperation and researcher mobility EURACESS, will discuss of the necessity of international cooperation in research. They will provide you with an overview of the European research landscape, funding and collaboration possibilities. Learn from the experience of researchers who have been active in both Europe and Japan, or have been involved in collaborative projects. Discuss the different aspects of mobility and cooperation and gain insights into working conditions in different environments! Make new contacts in the international research community! Free event open to PhD students, post-docs, young and senior researchers, and research administrators from all fields!